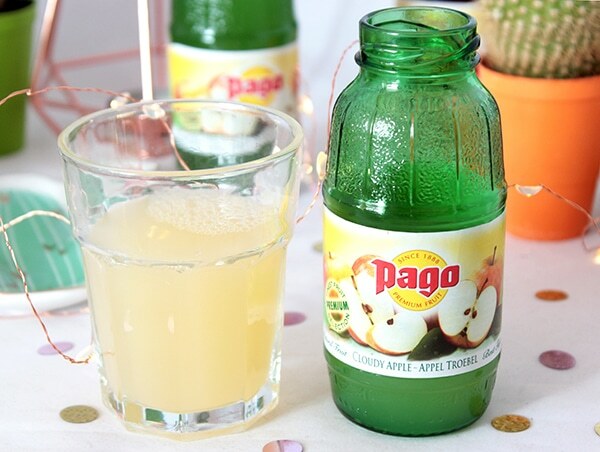 I’ve definitely heard of Pago juice before and I’m pretty sure that I’ve seen their distinctive green bottles in bars and cafes around the UK, but I’ve never really thought any more about them. Until now. 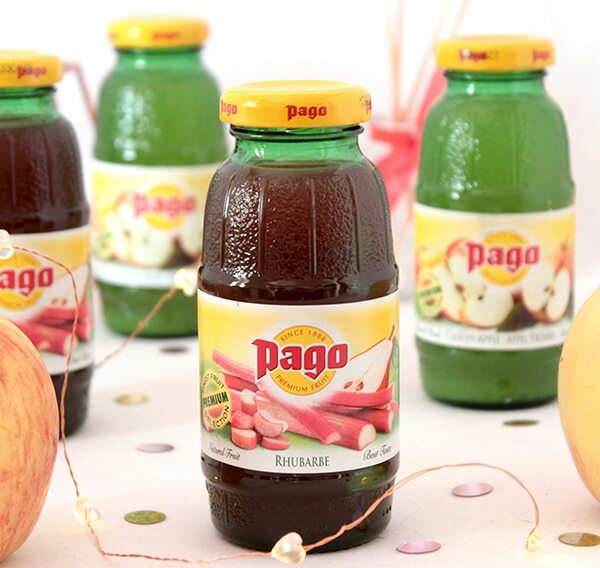 If you’ve not heard of them before, Pago was created in 1888 in Austria by two brothers. 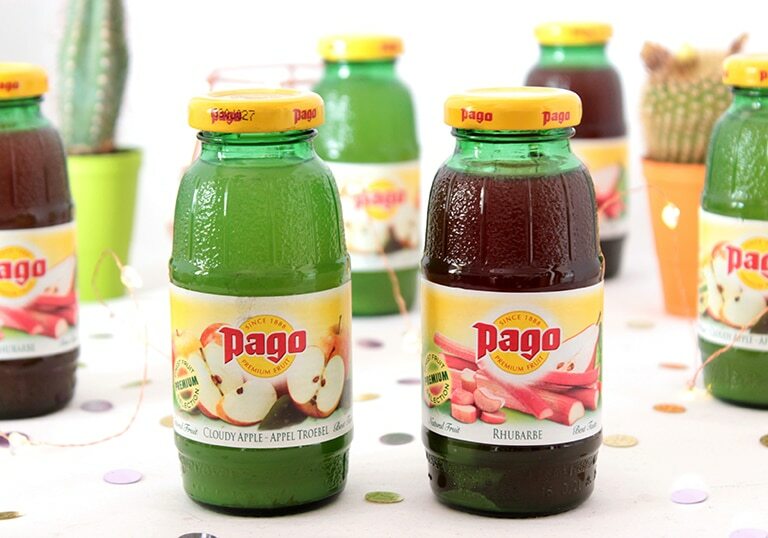 The juices are only produced from natural ingredients and they’re all sourced from the best producers in the world. They currently have 15 different flavours on offer. I was kindly sent some of their rhubarb & pear and cloudy apple juices to try out. I really liked the idea of little individual glass bottles as it’s easy to store a couple in the fridge, rather than having a massive bottle or carton taking up loads of space. If I’m being honest, I was a little dubious about trying the rhubarb & pear, I only said it sounded delicious because I wanted to sound cool and like I drink exotic drinks all the time. I do not. I’m also really not a fan of rhubarb the fruit, although I do like rhubarb the sweets (you know, the ones with the custard). That being said, it was incredibly delicious. I thought it was going to taste quite sour so I was amazed at how sweet it was. It was also very refreshing; especially after I’d put them in the fridge for a couple of hours; perfect for a hot summer’s day (which we’ve had a lot of recently!). I gave J some to try and he wrinkled up his nose at the sound of it; however, after trying some, he said it was really tasty and would definitely drink it again!! The rhubarb & pear has a 32% fruit content and also contains vitamins A, C and E.
The cloudy apple is directly pressed so it contains 100% fruit with added vitamin C. I already know that I love cloudy apple and this one really didn’t disappoint!! It tasted really strongly of apples and although there was a slightly bitter aftertaste, I really enjoyed it 🙂 I just wish we’d had some ice cubes to add in because that would have been absolutely divine! I’m quite tempted to use some of these in my morning smoothies instead of my usual orange juice and, with other flavours including cloudy cherry, cranberry, pineapple, tomato and grapefruit (their newest flavour), there’s definitely something for everyone!! *These were kindly sent to me but views are my own. These sound absolutely delicious! I know my husband would absolutely adore these! My mouth is watering just reading this post, these two flavours sound delicious. I’ve not heard of this brand before. 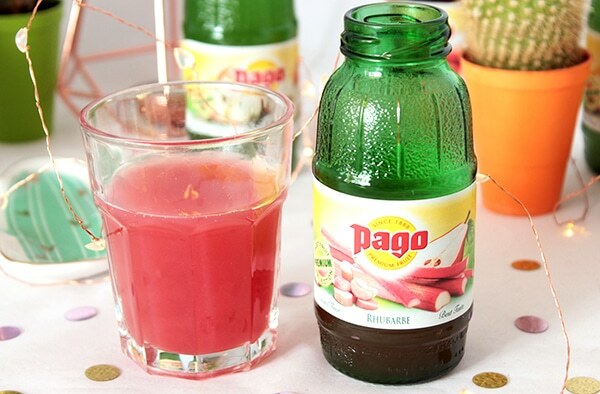 Never tried the Pago juices but the first on looks delicious! The taste of rhubarb is a taste of my childhood – my mom used to make juices out of it in our house when we still lived in the village. Have to try it out! Great post, Holly!